What’s the Difference in Tractors that Have the Same Horsepower? Recently, we have had several folks asking us, “What’s the difference in tractors that have the same horsepower? Why are there so many models that have the same horsepower rating?” Well, here is a brief explanation. Horsepower isn’t your most important specification when looking for a tractor. Likewise, price isn’t either. However, you need to focus on what job the tractor will be doing. Some quick math will tell you which one of these 25 hp tractors can pull your load. Different size tractors within the same horsepower rating can vary by several thousand pounds in weight. 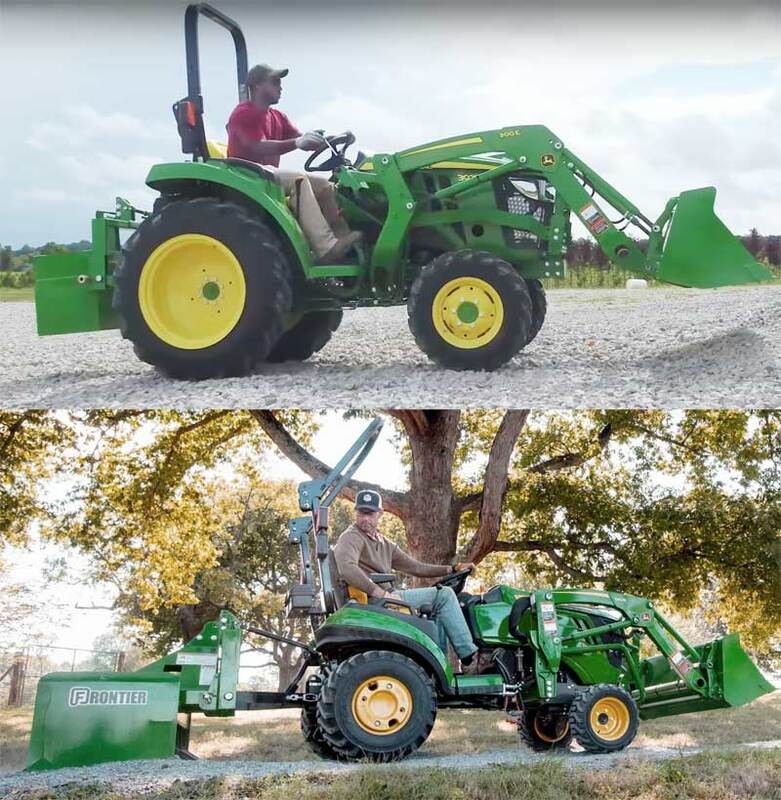 For example, the John Deere 1025R weighs 2,095 lbs with a front-end loader while the 3025D with a front-end loader is approximately 3,454 lbs. Both tractors have 25 engine horsepower. The rule of thumb on pulled loads is the load should not exceed 1.5 times the amount of weight of the pulling vehicle. This means the 25 horsepower 1025R can handle a towed load of approximately 3,100 lbs and the 3025D can handle nearly 5,200 lbs. 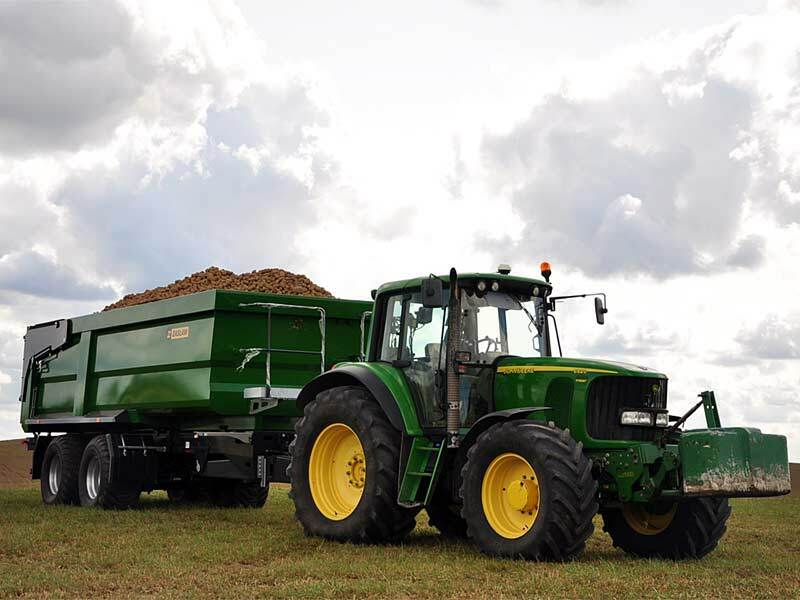 The 1025R is rated to lift 681 lbs on the rear three-point hitch and the 3025D can handle 1,670 lbs on the rear. That’s a big difference when it comes to working! Yet, both tractors have 25 engine horsepower. As tractors increase in size, they increase in weight. There are also different transmission options that allow for more gear reduction, making more efficient use of your available horsepower. The same holds true for larger machines. The Kubota M5-111 has 100 engine horsepower, but weighs in at roughly 7,000 lbs. However, if you look at the Kubota M6S-111, you go to a larger chassis size and 105 engine horsepower. But, there is a weight increase of 1,500 lbs. In this case, the M6S-111 would be the better choice for such jobs as mowing road sides or running a hay baler on hilly terrain. Massey Ferguson, New Holland, TYM, John Deere, Kubota, Kioti, and many others offer horsepower “overlaps” within their model lineups. Don’t try this at home. Actually, don’t try this anywhere! Having a tractor with more horsepower doesn’t necessarily mean you can get the job done more efficiently or in a safe manner. 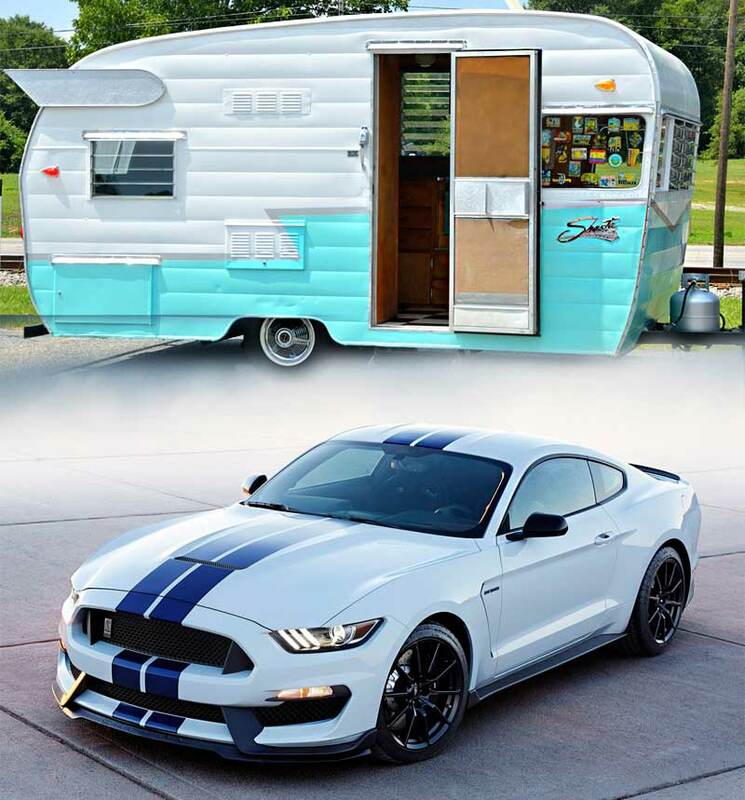 Would you want to tow your camper with a 3,500 lb Mustang that has 310 horsepower? No, you would want to hook up to an F-150 weighing in at 5,400 lbs, having 375 hp. Although there is only 45 hp difference between the two, the truck boasts almost 2,000 lbs more weight that can be used to control your payload. The truck is made to pull loads and the car is made to carry people, which are two totally different jobs. The same logic can be used when looking at tractors. I’m not saying bigger or heavier is always better. But, you need to match the tool to the task. When looking for a tractor, your best bet is to go to reputable dealer that you trust and has experience in this subject. 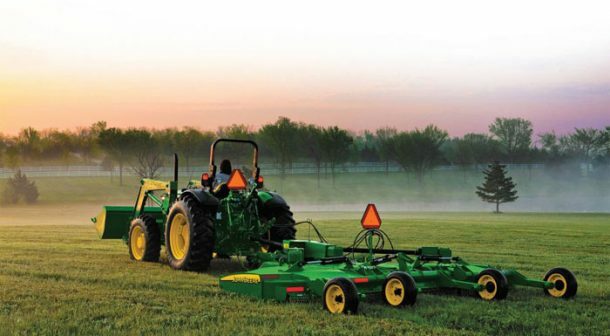 A good salesperson will be able to answer the questions you have about your tractor purchase. He or she will be able to help you figure out the right tractor to do the task you are trying to accomplish. Don’t be blinded by horsepower and price. Determine what you are trying to do, then go see a sales professional that can help you get the job done. Test drive the equipment you are looking at getting. Take note of things such as turning radius, engine noise level, and overall quality of the machine’s build. Something as simple as a tight turning radius could make the difference in making the turn at the end of your field or spending the rest of the afternoon repairing a gate or fence. It’s easy to go on price alone, but many times folks are stuck with a machine that doesn’t do the job they are trying to do because they bought on price only. The next time you are looking at buying a tractor or implement, give us a call or come by for a visit. We would be happy to spend some time getting to know you and would like to help you match the tool to your task.